Golf involves more physical exercise than you might think. He loves to exercise and is a long-distance walker. 그 남자는 운동을 좋아해서 먼데까지 (운동삼아) 걸어다닌다. She is not interested in sports. She likes to walk for exercise. 그녀는 운동을 하려고 걷는 것을 좋아한다. I attends an exercise class once weekly. 나는 일주일에 하루 운동 클래스에 나간다. I was elected captain of the team. I am a natural athlete who excels at many sports. 나는 많은 운동에 뛰어난 타고난 운동 선수이다. I do exercise for half an hour in the morning. 나는 아침에 30분 동안 운동을 한다. I went mountain climbing with friends today. 나는 오늘 친구들과 등산하러 갔다. I played soccer with my friend. I exercise by lifting some weights and jogging. 난 역도와 조깅으로 운동을 한다. Regular exercise is crucial part of being on a diet. 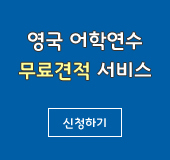 스노보드는 내가 가장 좋아하는 운동이다. The most popular exercise machine for women is the treadmill. 여성들에게 가장 인기 있는 운동은 러닝머신 입니다. I played baseball in the afternoon. My team won the game. I was excited ! 우리 팀이 이겼다. 나는 기분이 좋았다.